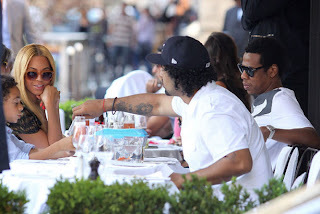 Beyonce, jay-z and her nephew having lunch in Paris, looks like a nice chill day, but is Jigga sleep behind those shades, It really look like he just got caught in the middle of a nod. 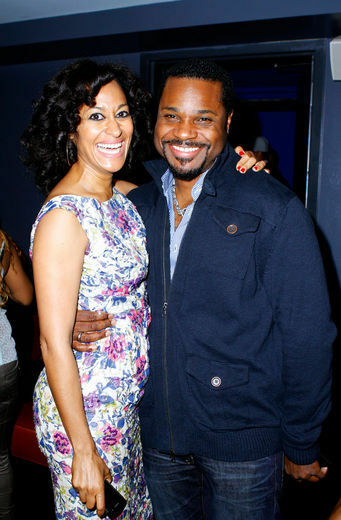 Anyway if you all are wondering who that extra dude is well its Daniels dad Solanges ( so called ) ex hubby, remember that fake wedding. Beyonce and her x bother in law and Daniel went to Disney Land in France. Tell me why does Bey have on 7" heels at the park, Are you serious, please girlie we know your short so just wear some kicks and be comfy. 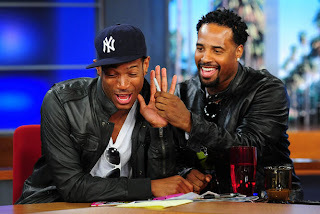 Sean and Marlon Wayans being goofy as usual on Good Day LA. Wow what a combo, Tracy Elis Ross and Malcolm Jamal Warner at the BET Networks Event.